Are you considering selling your home? Like most families in the Chandler & Phoenix East Valley area, your home is most likely your largest financial asset. The decision to sell it is a big decision that involves much preparation and work. As you prepare to make this important decison of listing your home it will be crucial to have an experienced real estate professional handle the details involved in the successful sale of your home for top dollar. As a part of the Coldwell Banker Residential Brokerage team I take pride in being a part of the company that is selling more residential homes in Arizona than any other company. My 11+ years of experience has helped many clients sell their homes. Providing the most current state-of-the-art marketing tools to promote your property is key in producing a successful sale. Coldwell Banker's top national brand website attracts buyers to your home from across the country and the world and offers a unique Rapid Response system, HomeBase InTouch, to respond instantly to internet inquiries. With my personalized marketing plan that incorporates the largest real estate company in the world's marketing tools, you are sure to sell your home quickly, painlessly and for top dollar. Providing my clients with comprehensive, high-quality listing service is my top priority. So when you've made the decision to sell your home, please contact me and let's get started! 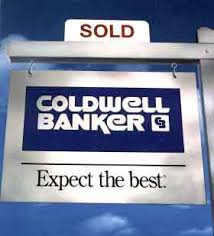 As an experienced Coldwell Banker Real Estate Agent, I can help you understand all there is to know regarding Phoenix East Valley residential real estate sales & current market values in the Chandler, Gilbert, Queen Creek, Mesa & Tempe areas. The process of selling your home can be very complex & I take great pride in assisting my clients successfully through the process, every step of the way. Not all real estate licensees are the same; only those who are members of the National Association of REALTORS® are properly called REALTORS®. By choosing an agent with a company that provides state-of-the-art marketing tools, you will gain greater exposure to the largest number of buyers, when listing your home. I have also gone the extra effort in obtaining my Certified Residential Specialist (CRS) designation, which consists of additional training to help me be a better agent for you. I also just completed the Ninja Selling Course & an am a Certified Ninja as well. This additional training is a great benefit to you, as my clients. REALTORS® are committed to treat all parties to a transaction honestly. REALTORS® subscribe to a strict Code of Ethics and are expected to maintain a higher level of knowledge of the process of buying or selling real estate. An independent survey reported that 84% of home buyers would use the same REALTOR® again. Selling a home is one of the biggest financial investment dealings in one's lifetime. Phoenix East Valley residential real estate sales transactions today can easily exceed $250,000. If you had a $250,000 income tax problem, would you attempt to deal with it without the help of a Certified Public Accountant? Considering the small upside cost & the large downside risk, it would be wise to work with a professional REALTOR® when you are selling your home. 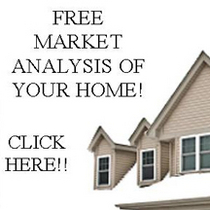 Request a FREE Market Analysis of your home & helpful information to help you sell your home. before you list your home. or the surrounding Phoenix Metro area. * Market your home with a mass marketing/advertising plan to facilitate showings. Zillow, as well as the Exclusive Coldwell Banker Arizona VIEWS magazine. your home & to promote it to the Buyers they are have in their database of clientele. * With your permission, a mailing about your property will go out to neighbors & the community. * Showings & Open Houses - timely feedback is provided to help you know what potential Buyers saying about your home. * Guidance in preparing & staging your home for viewing. Always looking at your home from the the perspective of a Buyer. * Assisting in maximizing the interior, exterior and curb appeal; a critical part of selling real estate in today's competative market. adherence to contractual deadlines, attending inspections, etc. process as seamless as possible.